What is the QMED Help Tool? This tool is intended as a quick reference for medical students at Queen’s University who find themselves in an emergency or crisis situation or needing quick reference/guidance. Note: The Help Tool provides information and links to resources, but does not connect you directly to assistance. If your health or safety, or the health or safety of someone else, is at risk, please call 911 or seek immediate medical assistance. I am experiencing a personal crisis OR I am worried about a friend in crisis. 1. Contact Student Affairs, Learner Wellness Office to make an appointment. All meetings are confidential Email: learnerwellness@queensu.ca Phone: 613-533-6000 X78451. I have experienced or witnessed threatening, concerning, or unprofessional behaviour. If you are concerned about immediate or impending harm to yourself or someone else, please seek immediate assistance from onsite security or other authorities or call 911. After you have dealt with any immediate concerns, the UGME encourages you to consider addressing the issue you experienced using the below. Options are described in the Student Complaints Policy. Office of the Interfaith Chaplain Kate Johnson graduated from Lakehead University in 1997 with a Bachelor of Arts and an Honours Bachelor of Social Work. 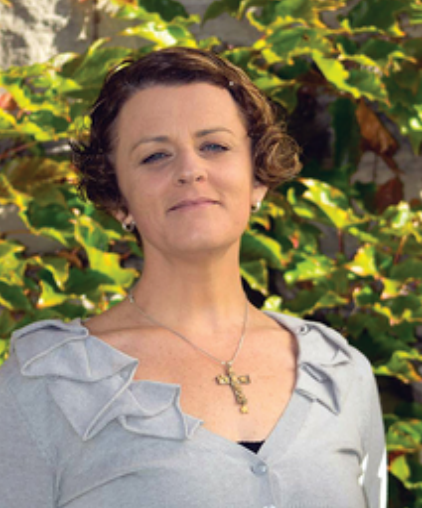 After several years serving various marginalized populations as a Social Worker, Kate attended Queen’s Theological College where she completed a Master’s of Divinity with a Concentration in Restorative Justice. In her role as chaplain to the university, she is available for individual counselling on any topic. Kate and her teammates Imam-Yasin Dwyer and Rev. Ruth Wood are also available for consultation on issues of religious accommodation and ethical questions. Kate also works to foster healthy interfaith dialogue and religious literacy for members of the Queen’s community. Students and faculty from the medical school will meet Kate at the beginning of the term in the anatomy lab and also at the annual burial for the anatomy donors. The Interfaith Chaplain is available to discuss spiritual, religious, personal, and financial problems, concerns or crises. I've experienced a non-workplace injury or illness. Course Director and Year Director determine whether supplemental examination or reassignment of grade values to other assessments will be considered. Course Director and Year Director communicates decision and plan to student. The Assistant Dean, Academic Affairs & Programmatic Quality Assurance determines the appropriate course of action and communicates outcome/decision to student. You are required to possess a personal laptop for taking exams. Personal laptops must meet the requirements as set out in the School of Medicine Computer Requirements. You should make every effort to ensure you have access to a laptop for examinations. Notify the UGME, as soon as possible, if you are unable to provide a laptop for your upcoming examination. There are a limited number of computers available and allocation is based on need and availability. *Backup laptops are intended for use only when an unforeseen issue occurs during examinations. Students without a laptop may be required to write a paper version of the examination OR may not be eligible to write at the schedule time, final decision is at the discretion of the Year Director. I need to know about being absent from school. *Each have the ability to grant leave immediately and application may be received after the leave has commenced. 1. Notify & Seek approval from the relevant Course Director or Delegate. Determine plan for make up sessions as necessary.